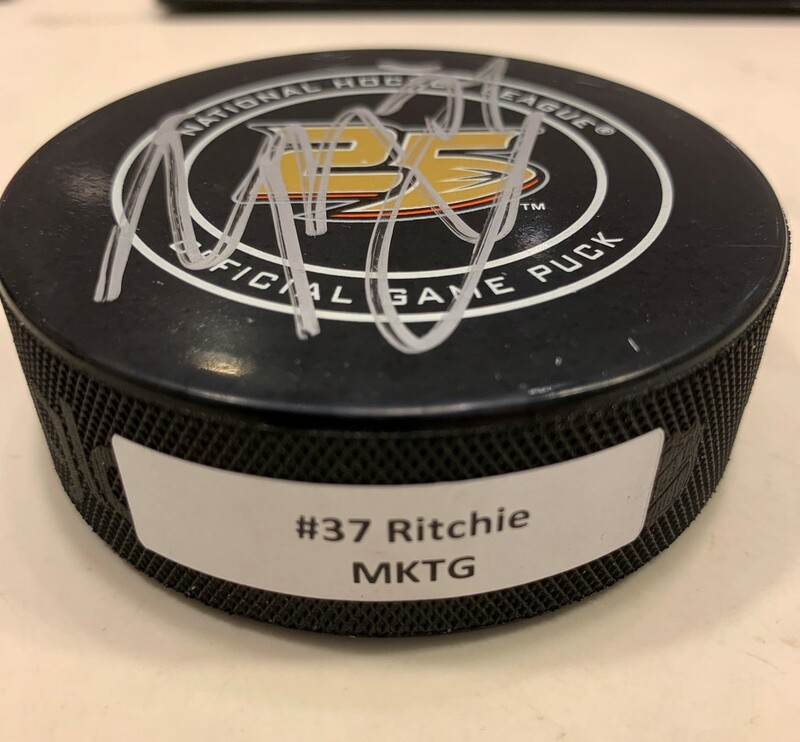 This puck has been personally hand-signed by Nick Ritchie of the Anaheim Ducks on a 25th Anniversary official game puck. 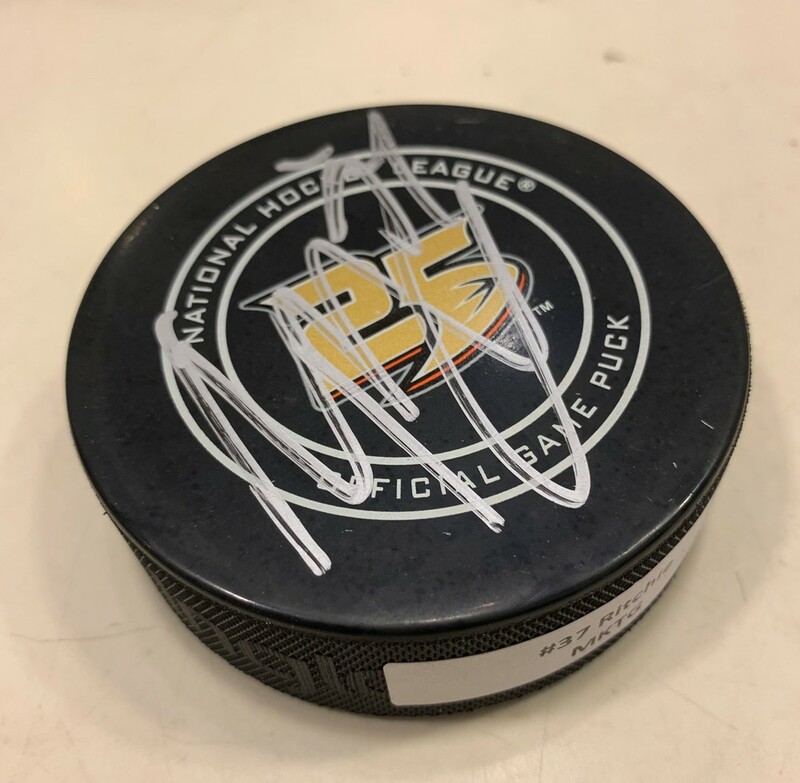 This puck was acquired direeclty from the the team. Items will be shipped via FedEx or USPS Shipping cost for this item is $15 USD within the USA and Canada. All winning bidders pay shipping charges and are responsible for all tariffs, taxes, duties and any other additional costs associated with shipping inside of North America.